When you arrive at the lake, look across the water for fish shows. These can be one of two things, either the fish crashing out of the water or bubbles coming up to the surface. Either of these indicate where the fish are and where you should be casting. 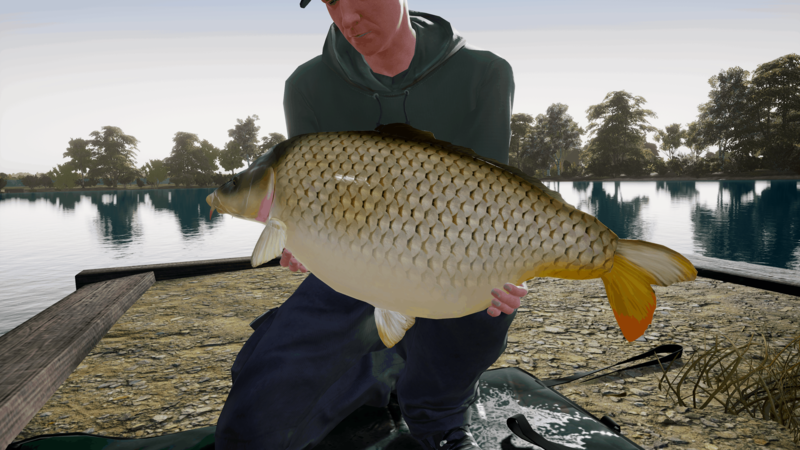 The rigs in the game are best used over one of the three bed types found on the lake bed – silt, weed or gravel. When you have chosen the rig you want to use, find that type of lake bed to fish over. It is not effective to use a silt rig and be fishing in weed. Similarly to the rigs, the baits tell you how they behave in the water and how big they are. Ensure that the bait you are using matches the rig in terms of presentation and size. For example, you don’t want to be fishing a large sinking bait on a small (say size 8) rig when fishing over weed as the fish won’t find it! You’ve seen where fish are, you have a rig and bait that match the lake bed so now you just sit back and wait for it to happen? No – equip your spod rod and cast out free offerings to the fish – this will attract the fish in the area and draw more in from further afield. he final tip – work the area of water that your swim covers. You’ve seen the fish show in the vicinity but they may not be moving a great deal and you have cast 20 yards away from where they are. Start off by casting to the left of your swim and then keep recasting slowly moving more and more right across the water until you find where they are.